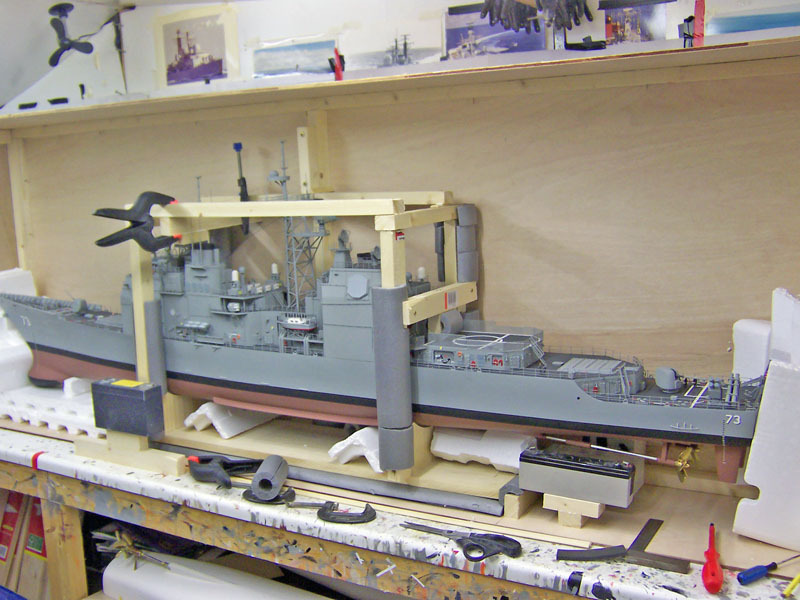 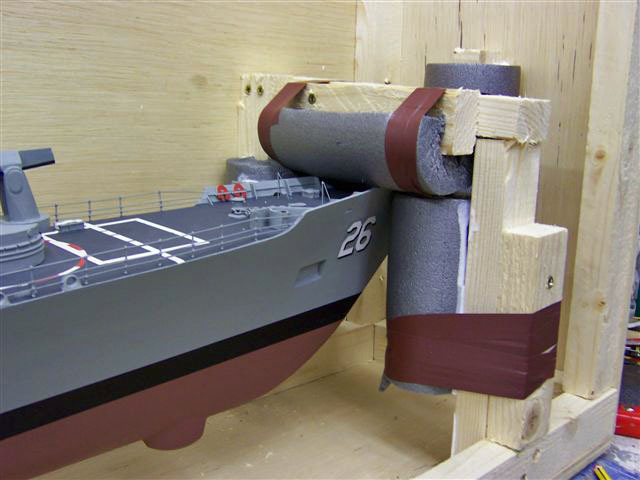 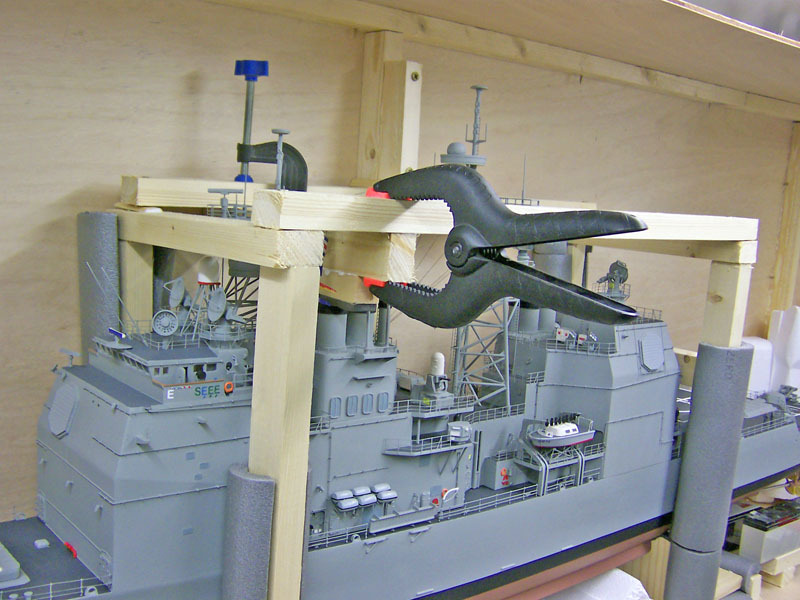 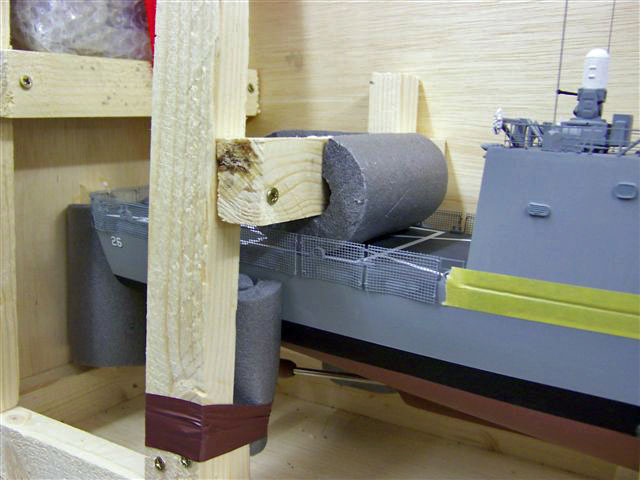 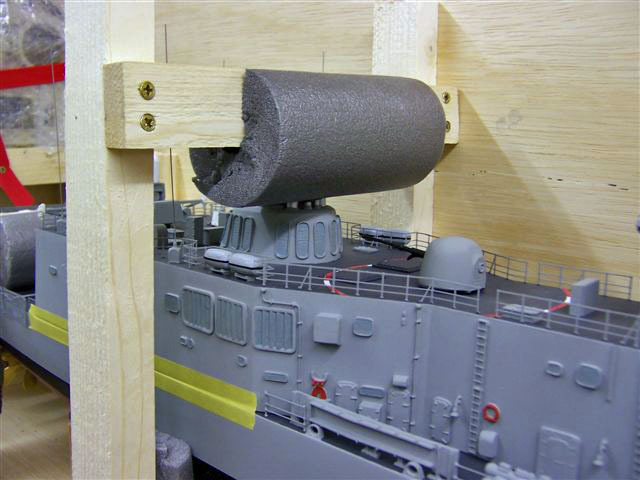 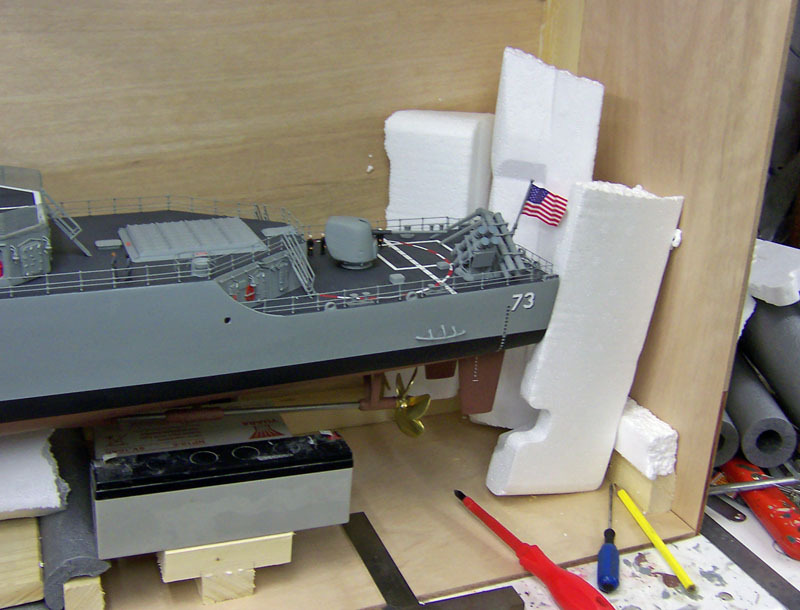 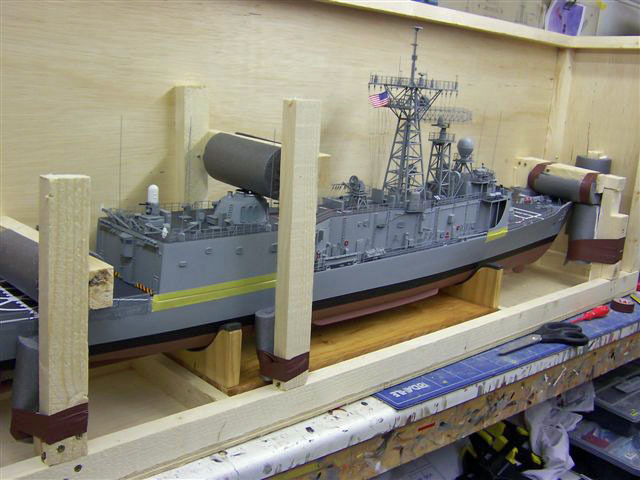 Professional modeler Paul Simpson was kind enough to share some photos of his USS Port Royal (CG-73) being prepared for shipment. 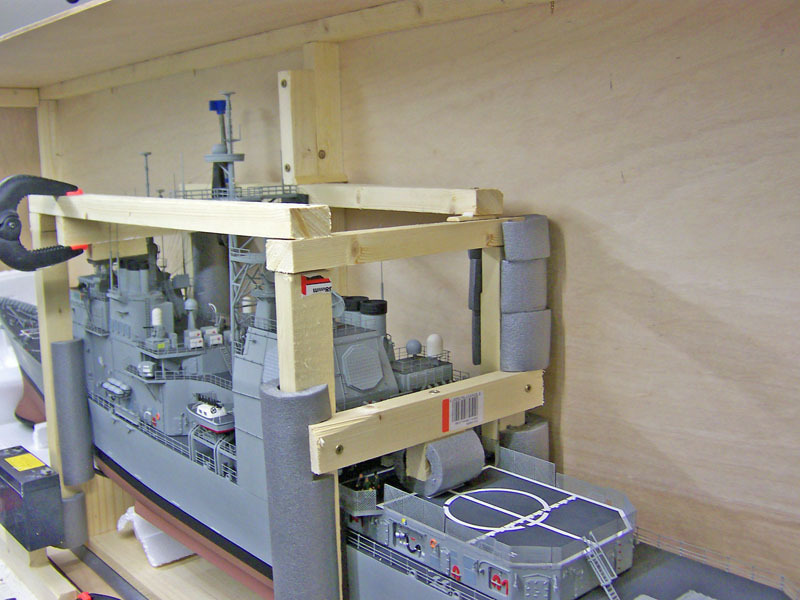 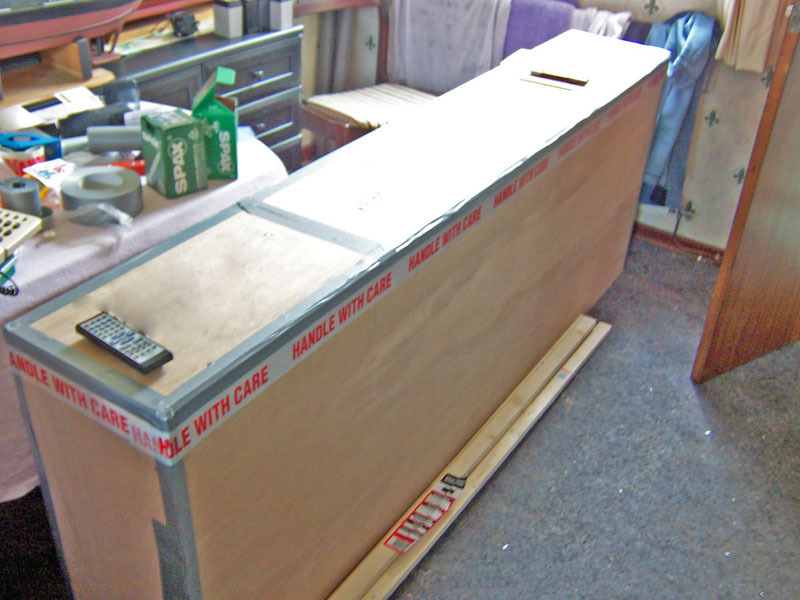 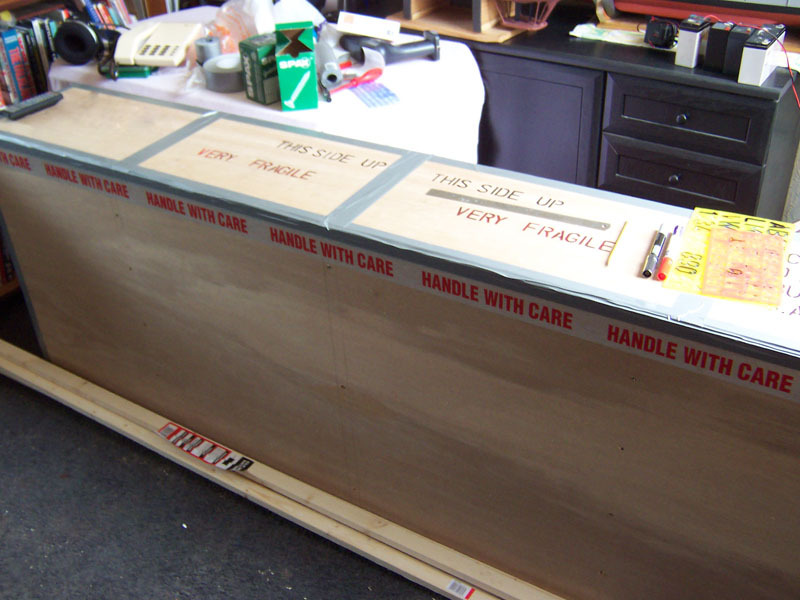 you can see he builds a sturdy crate, and then firmly fixes the model in place, not just laterally, but also to cover any possible axis of movement. 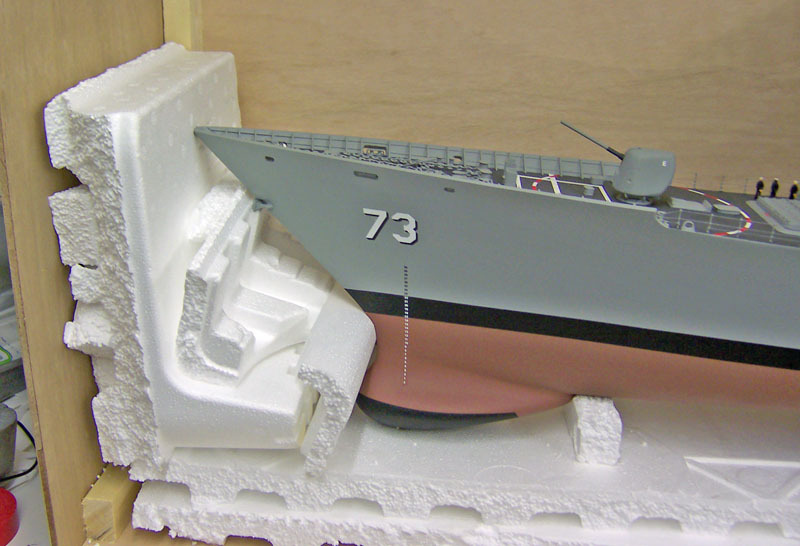 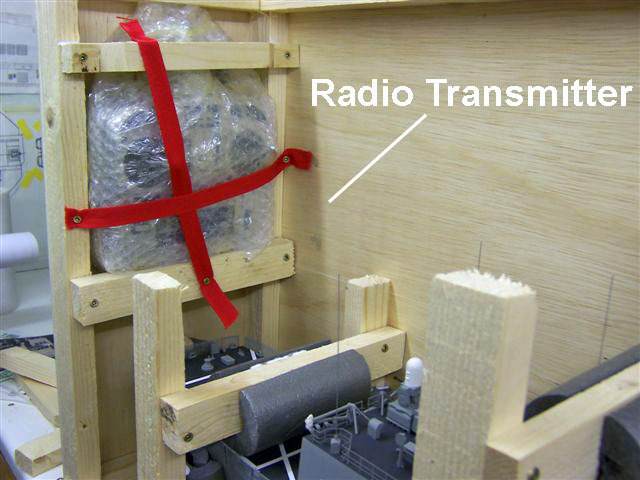 The model arrived overseas needing only very minor repair to some small pieces that became loose from the cold in the cargo hold of the airliner.